If you don’t have a lot of blog subscribers, it’s tough to earn well. I know; I’m one of those bloggers who put up an Amazon book cart on my blog the day I launched and earned $1.50 from it. If you listen to your audience and deliver exactly what they need, though, you have the potential to earn big money, even if your list is small – and even if your audience is broke, like my audience of freelance writers. Despite those hurdles, I launched a service that’s grown to generate more than $300,000 in income every year, starting when I had only 1,200 subscribers. Freelance Writers Den is a monthly membership site and community for freelance writers that launched in July 2011. By 2015, it had grown to 1,200 members who pay $25 a month, or roughly $360,000 a year in gross income. 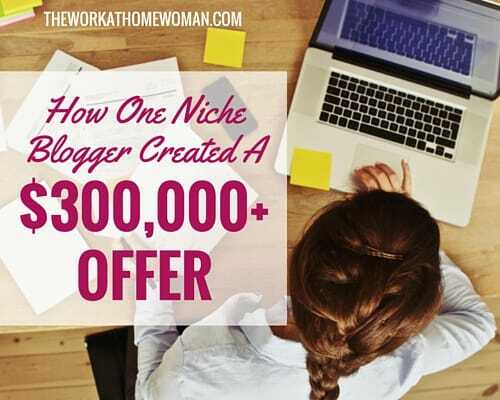 The good news is, the steps I used to create this community are simple steps you can take with your own blog readers to figure out your best, most lucrative offer. Let me take you step-by-step through the process of creating a membership site. I’m hoping you can help me, Carol. I have a client meeting tomorrow, and I have no idea what to do! They want white papers, and I don’t know what to bid. Can you help me? It could have forums where I’d answer questions—and all the members could learn as a group, rather than answering many of the same, basic questions individually via email, over and over. That would be both more efficient and open up the possibility of earning from this advice. Since it costs several thousand dollars to build and launch a membership community, I decided I needed to make sure this would sell before I spent the money. 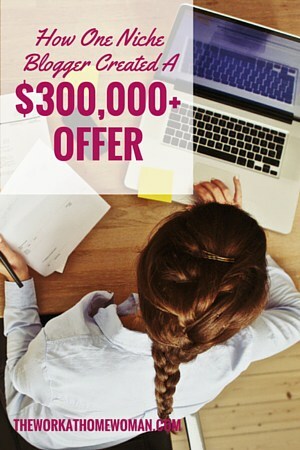 The extra steps I took to make sure this offer would be successful turned out to be great, fundamental steps to take to launch any offer. Having figured out there was a need for a writers’ community, I looked around for competitors. I didn’t see much out in the marketplace. I heard about a couple of communities, but they had a bad reputation. I sought out writers who’d been members, and they told me the forums were a ghost town. There seemed to be a niche I could occupy, if I committed to actively supporting my members on the forums. To get things started, I conducted a survey. I only got 80 responses, but they were enough to help me get a sense that there was interest. I was heartened that only 25% of responders said they would NOT pay at all for such a community. While $15 a month was the most popular price answer, my math was that it would be more realistically profitable with a $25-a-month membership fee. One-quarter of my members said they’d pay that rate, which I thought would be enough interest to make the model work. I also asked what type of services members would want in the Den. Three of the most popular answers—weekly live meetings, chat forums, and a monthly live Webinar—became the core initial Den offerings. Conducting the member survey was one of my first pre-selling activities. That’s when you start mentioning and talking about an upcoming product or service, but you’re not actually selling it yet. I also involved my subscribers in a discussion on how the community name was developed—even down to how it should be spelled. One post I wrote discussing what the name should be got more than 100 comments and inspired heated debate. That showed me there was high interest in having such a resource. Other presale activities included asking for feedback on the community logo on Facebook. These activities all built awareness that I was creating something, and it would soon be for sale. Once you have some hard data that your readers are interested in your offer, the next step is to create a basic version of it and recruit beta-testers. To keep it simple, I hired the developers who’d built in the blogging community to build my infrastructure online, using the tools I already knew. For the initial Den content, I organized some evergreen blog posts into e-courses that were simply groups of links organized on pages by topic. There were also a few live Webinars with handouts that I’d presented in the past—those went in, too. I think that defines minimum product! It wasn’t much. The beta-testers were 35 writers who’d done one-on-one mentoring with me during the past couple years. They all got a lifetime free ticket to the Den, in exchange for being the guinea pigs. In return, I got a warmed-up room with some comments and people around. These users got in a couple of weeks early. They gave initial feedback on forums we needed to create and how to help writers get oriented. We quickly developed an Orientation Guide and added more forum topics. Once you’ve tweaked your offer and dropped presale hints about it, the next step is to give your readers a free taste of the finished product. To give nonmembers a peek inside, I sometimes allow nonmembers to attend one of our weekly live Den meetings. The free events allow writers to peek behind the curtain to see how awesome it is to be able to ask experts your questions, live. For other offers I’ve got, I’ve created free case-study PDFs or bonus e-books. When it comes time to sell, reward the people who helped you build your offer. When the Den opened in July 2011, everyone who took the market research survey got to join a week early, at a discount rate of $17 a month. Additionally, a group of the 100 ‘most active’ subscribers, in terms of number of blog comments, got an invite to become “Den Builder” members at $17. With these incentives, I was able to get 120 members signed up in the first month. When you’ve done enough pre-selling, your launch mostly consists of emailing your list to say, “That thing you wanted – it’s ready now.” It’s a sure thing some of them will buy, at this point. In all, the Den is the easiest-to-sell AND most lucrative product I have. It’s high-touch. The Den is a chance to rub shoulders with writing pros and get your questions answered every day. A place to feel special and connected. This is a big advantage of smaller bloggers—we can devote more personalized time to our readers. It’s cheap. Low prices are a powerful weapon for small bloggers to drive more sales. If I asked for $300 upfront for a year of the Den, I’d have way fewer members. The lower you price an offer, the less of a big, elaborate sales cycle you need. It’s not that much risk to purchase, so you can get more sales without sending tons of marketing emails – which is important when your list is small. It’s exactly what they wanted. The Den offers what my subscribers needed most—because I designed it with their help. If you’re not selling well now, take down the random ads or affiliate offers and start talking to your readers. They can steer you to your best-selling offer. Carol Tice’s new e-book is Small Blog, Big Income: One Niche Blogger’s 7-Step Success Formula. She writes the Make a Living Writing blog.